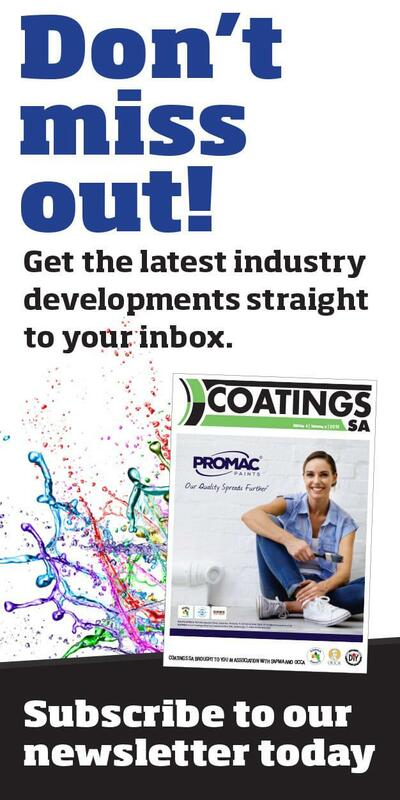 Sandra Galbraith talks to DIY Trade News about the changes being made for Hardex 2010 and the exciting future she sees for this one-of-a-kind exhibition in South Africa. DIY: How did you get involved with Hardex? SG: In 2002 I was employed to do the services and operations on Hardex, then later I started doing sales and today I manage the show. I am so passionate about this industry and of course there is Roz Nash who built the Interbuild show from literally nothing to 8 000m². She really is a phenomenal partner to have on the show. DIY: What are the benefits of having a Hardex show in South Africa? SG: Currently, there is no other show in South Africa that brings together the hardware industry under one roof. The co-location with The Star Interbuild Africa (construction), Plumbdrain/Sani’ter Africa (plumbing, sanitary ware and kitchens), Frigair (refrigeration), Glass Expo Africa (glass and aluminum windows) and Woodpro Africa (wood processing) further combines all the industries that require DIY products, therefore adding more value. Besides exhibiting at Hardex to find new business, it is also a major branding opportunity across the full spectrum of building and related industries. DIY: What are the challenges of putting together an expo such as Hardex? SG: As with any other businesses, Hardex has gone through its ups and downs and one has to be proactive to keep the exhibitors and visitors coming back to the show, thus the co-location with The Star Interbuild Africa. 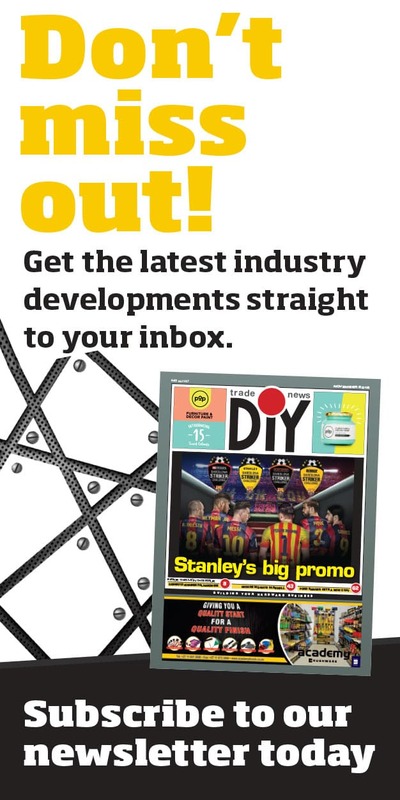 DIY: Visitor numbers have seen a decline over the past six years – is there any specific reason why you think this has happened? SG: To not make any excuses, visitors want to experience a worthwhile shopping trip and see as much as possible under one roof. Unfortunately, Hardex has not been that in the last couple of years, but we expect this year to be different. DIY: Exhibitor numbers have also declined, why? SG: Perhaps this is a question we need to ask all the big players in the industry. It is a question we will continue to ask. It is a well known exhibition industry fact that the higher the number of exhibitors at a show, the higher the number of visitors that will attend. It is a partnership between organisers and exhibitors alike to get visitors to the show. DIY: Do you think we will ever see the big names return to Hardex? SG: We are hoping to get them to sign up again and are making a concerted effort by scheduling appointments to see these companies on a face to face level. Once we have seen them all, we should be able to better answer this question. DIY: Exhibitors have always complained about the number of exhibitors from the Far East. Why continue to invite them if it is upsetting the local companies? SG: Hardex, now part of Interbuild Africa, is an international show. We do not invite those exhibitors as such, but the Far East is proactive in all parts of the world, not just South Africa. We do our best to contain the number of Far East exhibitors attending the show, but competition is healthy. From a sales perspective, a prospective client should be educated about their company’s product and not a cheap import. DIY: Hardex 2010 will be co-branded with Interbuild. Why was this decision taken? SG: Hardware is a downstream product of the construction, building, plumbing, wood and glass industries in South Africa – what a fantastic one-stop-shop! To clarify, Hardex 2010 is co-located with The Star Interbuild Africa, Plumbdrain/Sani’ter Africa, Frigair, Glass Expo Africa and Woodpro Africa and not co-branded. This means that the shows will share the venue – from Hall 6 to Hall 8, enabling the vast number of diversified visitors to visit the different shows as a whole. This will allow visitors that would normally only attend Interbuild, to stop and take notice of Hardex and enjoy the varied displays and new technologies. DIY: Will Hardex be shoved into a corner away from Interbuild exhibitors, or will the Hardex and Interbuild exhibitors be mixed? SG: The layout of the show at the moment is as follows: Hall 6 – Interbuild and Plumbdrain, Hall 7 – Wood Pro and Frigair, Hall 8 – Hardex. Visitors will be directed from one hall into the next. DIY: Exhibitors feel that they spend a fortune to exhibit at Hardex, but do not feel the show is advertised properly. What added advertising will be done in 2010 to help increase visitor turnout? SG: The Star Interbuild Africa, and therefore all the co-locating shows, enjoy the support and sponsorship of the high profile daily newspaper, The Star, whose management team understands the importance of this sector of the industry and its positive impact on the South African economy. The popular and highly circulated newspaper will communicate a strong message to industry players throughout the course of next year. In addition, we have a media schedule which includes publications across all the related industries, in which the co-locating shows will be promoted. DIY: Do you feel that Nasrec is the right venue for a show like Hardex? SG: Yes, without a doubt. Following the 2009 show, there was much feedback as to how easily accessible and convenient it is for visitors and exhibitors alike. Nasrec is the perfect venue for any trade show as it has all the facilities required by the industry. It is now undergoing huge renovations for the 2010 FIFA Soccer World Cup and is getting a much needed facelift, so exhibitors and attendees can look forward to a modern facility with improved lighting and greater comfort at the 2010 show. Also, one of the biggest advantages of Nasrec is that the build-up and break down of stands is far easier due to exhibitors being able to park right next to the doors leading into the halls. Parking for visitors before, during and after the show is also much closer and more convenient than at any other venue. DIY: Why should people come and exhibit at Hardex? Are tradeshows not perhaps a dying breed – just look at Cologne where exhibitor and visitor numbers have seen a decline? SG: Tradeshows are definitely not a dying breed. We are launching new shows all the time. The reason for the decline in exhibitor and visitor numbers at the Cologne show, and for that matter many other shows recently, is the worldwide economic recession which hit a lot of the European shows last year and this year. Companies simply did not have the extra budget to exhibit or advertise and cut their costs drastically during this timeframe just to survive. You cannot compare South Africa to the overseas market, because although we were hit and have gone through a rough patch, it was nowhere near what the United Kingdom, United States, Germany, France and others went through. They were far worse off than us and we were extremely lucky that our Reserve Bank saw this one coming and managed to keep us out of the worst of it compared to overseas countries. Trade shows have been around for over 150 years and they do sometimes experience an up and down cycle, but always manage to come out of any slump that may occur. DIY: Where would you like to see Hardex six years from now? SG: We want the industry to say: “We cannot afford not to be there”.